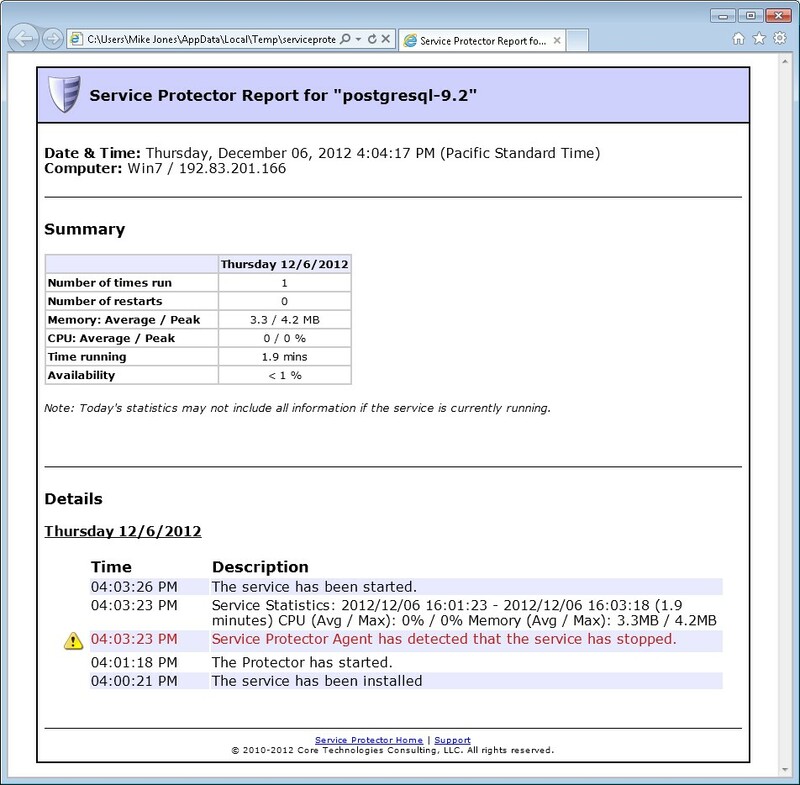 Service Protector's main window lists the services it is protecting (here, the popular PostgreSQL open-source database). Clicking on the green "running" circle shows information about the service being protected. And clicking on the green shield reveals details of the protection. 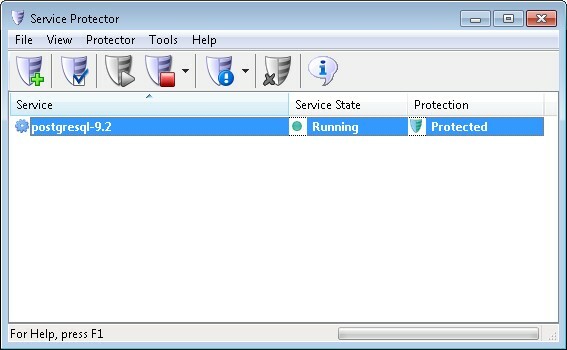 Selecting Protector > Add... from the menu opens the Add Protector window where you can protect any windows service running on your computer. Simply select the service you wish to monitor from the dropdown at the top. All other settings are optional. 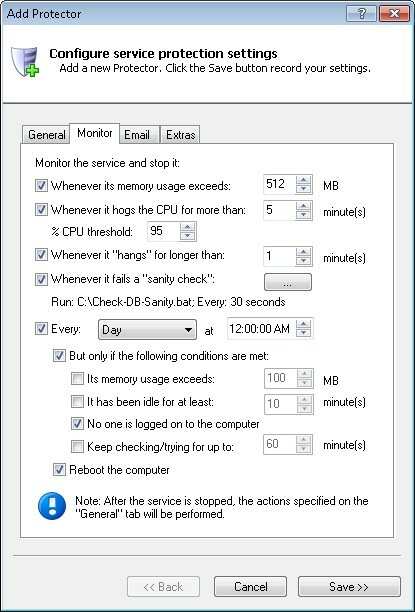 Service Protector can detect when your service hogs the CPU, consumes too much RAM, or fails your own customized "sanity check". It can also reboot the entire machine at a scheduled/safe time if you like. 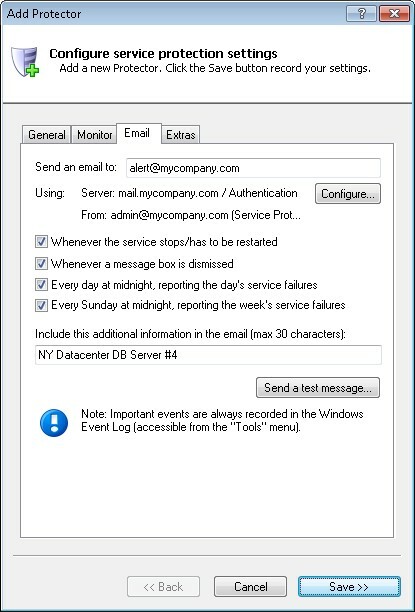 You can configure Service Protector to send an email whenever the windows service crashes, hangs or stops for any reason. Multiple email addresses are supported. 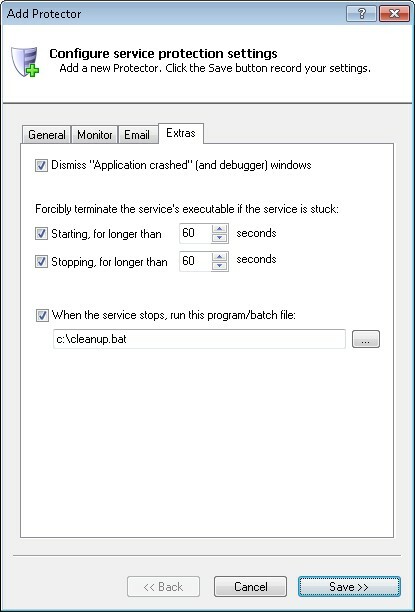 Have Service Protector detect and restart "stuck" services, or run your own custom script to clean up after the service. 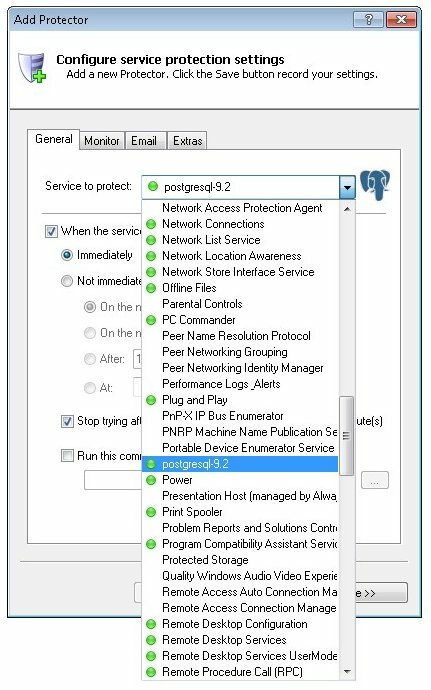 Selecting Protector > Report Activity > Today... will open your web browser to a page showing Service Protector's activities for the past day. Other time frames are available too.